Пульт дистанционного управления. Протокол ZigBee. Сенсорный дисплей с диагональю 2.4'. Разрешение 240x320. 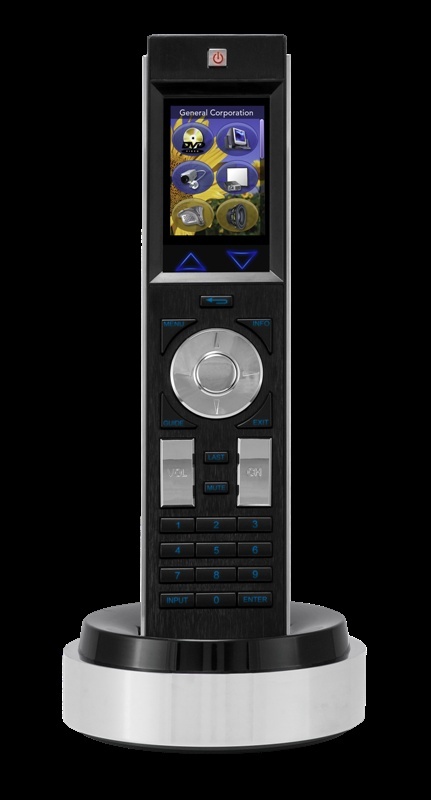 The Mio Modero R-4 remote provides custom control features nd includes a 2.4-inch full-color, active-matrix TFT LCD Touch Panel, ZigBee wireless technology, two-way communication and unlimited control of devices - all in an elegant handheld rechargeable device. It has a wide coverage area and signals can be transmitted through walls, ceilings, etc. with a range of up to 100 feet indoors (dependent upon conditions and construction materials). The coverage area can be extended by using NetLinx ZigBee Repeaters. And with ZigBee, any number of R-4s can be used within the same property without interfering with each other. 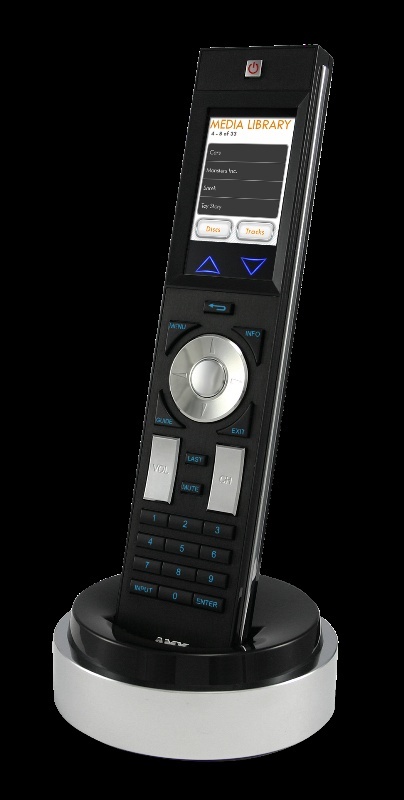 The Mio Modero R-4 is an excellent choice for two-way LCD touch control of a wide variety of devices throughout hotels, residences or buildings of almost any size.